Hubbell Lighting Dual-Lite Lampak® Emergency battery pack has 22-Gauge steel construction for high strength and durability. The 120/277-Volt AC battery pack outputs 24-Watt power. It measures 2.4-Inch x 1.5-Inch x 13.3-Inch. The maintenance-free nickel cadmium battery provides 90-min emergency operation from external 6 through 12-Volt DC source. The T8/T12 fluorescent lamp delivers light output from 1000 to 1400-Lumens. 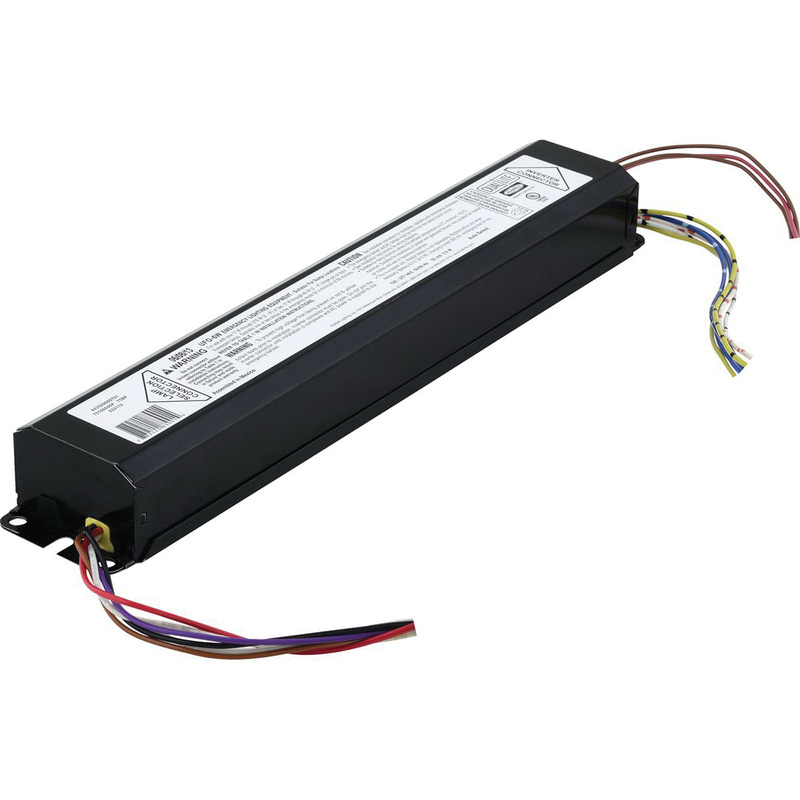 It is compatible with electronic, standard magnetic, energy saving and dimming AC ballast. It is suitable for use with linear or long compact fluorescent fixtures and for damp locations. Emergency battery pack meets UL 924, NFPA 101, NEPA 70 standards.